Walsh cited Boston’s unemployment rate of 2.4 percent, the lowest ever recorded, and a study by German relocation company Movinga that rated Boston as the best city in the world to find a job. Hours before his State of the City address, Walsh announced he was launching a mobile economic development center aimed at expanding the city’s job growth, specifically for women and minorities. City Council President Andrea Campbell responded to the address in agreement with Walsh’s assertion that Boston is leading the way in many areas, but pushed back on his praises of its equity. On the topic of the city’s housing crisis, an emotional issue that’s plagued the city with residents arguing that they’re being driven out, Walsh pleaded to his residents that the City needs more help. 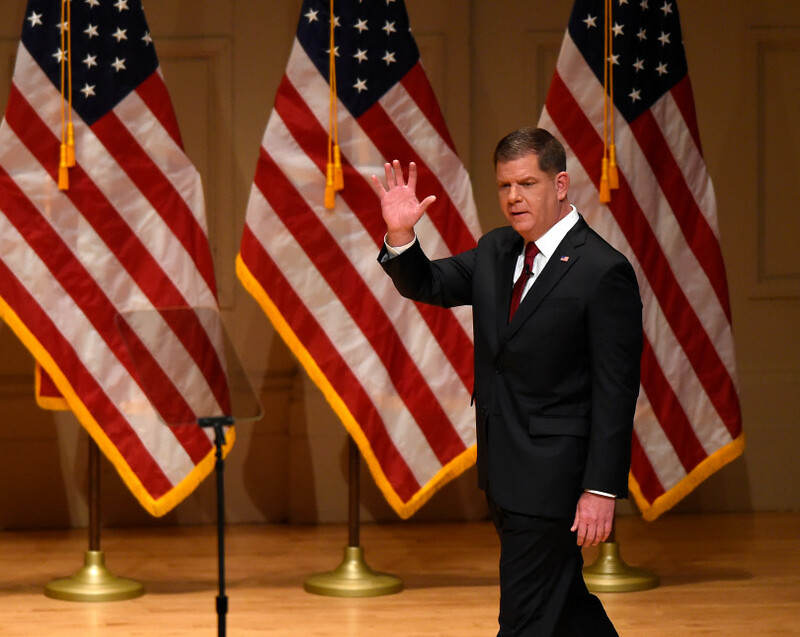 Walsh also criticized the White House for turning “its back on climate change,” an issue he committed millions of dollars to earlier this year in hopes of protecting the city’s harbor from rising tides and floods in the coming years. On education, Walsh addressed his administration’s controversial decision to close two schools in West Roxbury, by alluding to how old buildings were when he took office. Walsh also touted his efforts to end chronic homelessness and the $10 million his administration has raised for “supportive housing.” He also recapped his efforts to rebuild the Long Island Bridge and provide a recovery campus for people suffering with addiction. “When I say no one left behind, I mean no one,” he said.